The last thing any Pittsburgh area homeowner wants, a major plumbing problem can cause sewage leaks and even structural damage to your home. That’s where we come in. 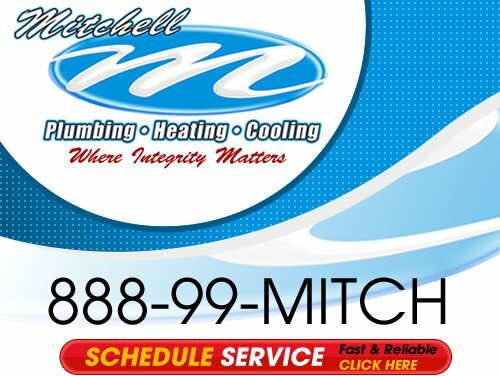 At Mitchell Plumbing, Heating & Cooling, we offer a full range of general plumbing, heating and air conditioning services. From installation of new fixtures to radiant heating to air conditioning repairs, we do it all. Our commitment is to providing honest, professional and affordable service on every job we take, big or small, residential or commercial, and we want to do the same for you. 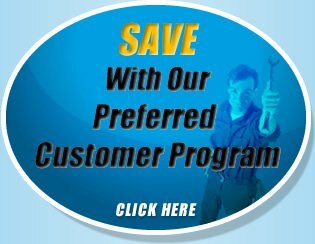 Don’t mess around with do–it–yourself plumbing techniques – our licensed, professional, courteous plumbing and HVAC experts can provide solutions for all of your home comfort needs. You will find no other plumbing/heating/cooling contractor in the Greater Pittsburgh area better set up to handle your emergency and urgent needs. No matter the time of day or night, you will always speak with a live home comfort specialist over the phone. 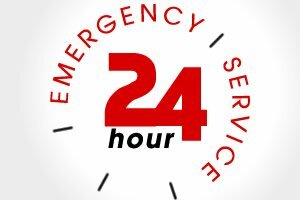 And we are committed in our effort to respond to any repair need within one hour. When it comes time to invest in a heating and air conditioning system you should put your home’s comfort in the hands of a seasoned professional – a dealer with the knowledge and expertise to give you the peace of mind you deserve. But all dealers are not created equal. To make your search a little easier, just look for the Trane Comfort Specialist™ badge. 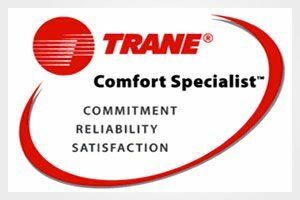 The Trane Comfort Specialist™ badge indicates a Trane dealer of the highest standing – a dealer that is committed to excellence in every aspect of his business, from installation and service, to customer service. The Trane Comfort Specialist™ designation is not easy to come by. Dealers qualify for this honor on a yearly basis by meeting The Trane Company’s stringent standards for professionalism and technical expertise. The goal of a Trane Comfort Specialist™ Dealer is to exceed your expectations in each area of the purchasing process, beginning with the initial contact and ending with installation and follow up. When you select a Trane Comfort Specialist™ Dealer, you can rest assured that you’re getting the finest assistance available to help you determine the perfect comfort solution for your home. So if you are looking for a professional plumber or home comfort contractor in the Greater Pittsburgh area then please call us at the numbers listed below or complete our online request form.